Hepatitis A is spread primarily through food or water contaminated by feces from an infected person. Rarely, it spreads through contact with infected blood. The hepatitis A vaccine offers immunity to adults and children older than age 1. The Centres for Disease Control and Prevention recommends routine hepatitis A vaccination for children aged 12 to 23 months and for adults who are at high risk for infection. 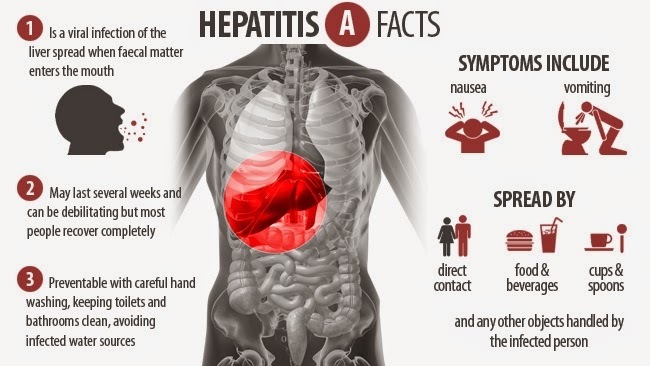 Treatment with immune globulin can provide short-term immunity to hepatitis A when given before exposure or within 2 weeks of exposure to the virus. Avoiding tap water when travelling internationally and practicing good hygiene and sanitation also help prevent hepatitis A.